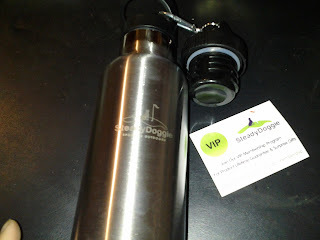 I have been using this Steady Doggie Stainless Steel Water Bottle for a little while now and have been quite pleased with it. It holds 20 ounces, and is constructed of stainless steel. It is a good quality, double walled bottle that is vacuum sealed. It does well at keeping cold drinks cold, and hot drinks hot. It comes with two interchangeable caps including a sports handle lid and an extra straw lid that is compatible with a Hydro Yeti Kleen Kanteen. I normally use the sports cap which is simply unscrewed to drink or pour directly out of the bottle. This works well for coffee or soup, and the opening is large enough to add chunkier soups or normal sized ice cubes without any trouble. The other cap includes a straw, and although easy to drink from, I have some concerns with washing this or any other straw. For this reason, I have only used the straw cap with water which makes it easy to clean up. This sports water bottle is very attractive and sturdy enough for everyday use. 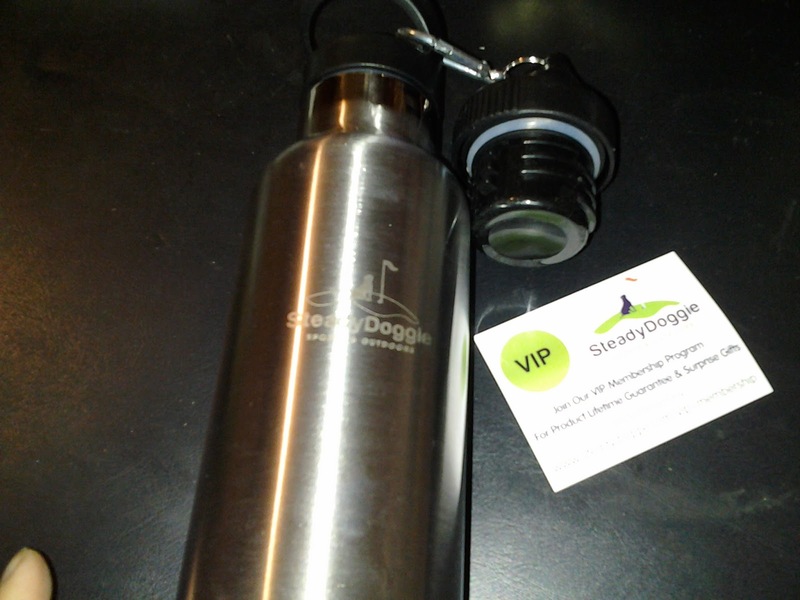 This water bottle would be great for any sports enthusiast, or anyone else who likes carry a drink along with them.